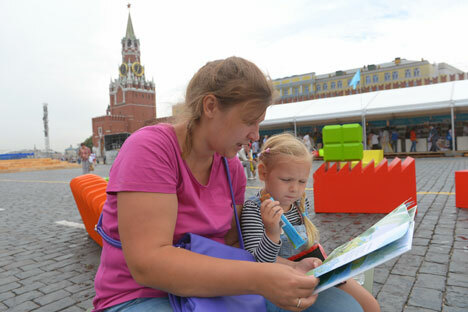 The Year of Literature will be celebrated with the Books of Russia festival on June 25-28. For the very first time in its history, Red Square will host a literary festival 'The Books of Russia.' More than 300 publishing houses from all Russia's regions will represent their best editions: from fiction to educational literature. The festival will occupy more than 250,000 square feet from the State Historical Museum almost to St. Basil’s Cathedral, and will be split into thematic zones. Its main focus will be a book market divided by genre, and there will also be a stage and a lecture hall, where events such as talks with famous writers and performances will be held. There will be four interactive zones (fiction, children’s literature, non-fiction and library) where visitors can buy souvenirs, watch films, meet with authors or just relax. The GUM department store will also play host to some professional events and the festival’s antique zone. During the four days of the festival, different zones will host meetings with writers and poets, including Zakhar Prilepin, Vladimir Pozner, Pavel Basinsky, Eugene Vodolazkin, Mikhail Veller, and Alexander Kabakov. Actors and musicians such as Alexey Garibol, Yury Bashmet and Denis Matsuyev will perform for guests of the festival. The budget of the festival is 40 million rubles ($730,000), according to the head of The Russian Federal Agency for Press and Mass Communications, Mikhail Seslavinsky. "The festival itself is an unprecedented event. We have occupied not only the whole of Red Square, but also a part of the GUM store, pressed some boutiques to accommodate booksellers there," said Seslavinsky. "When we came up with the idea of the festival, none of the publishers believed it was possible," said the deputy head of the agency, Vladimir Grigoriev. "The most important thing is that the festival can go on from here and be held on Pushkin's birthday on June 6. We also hope that next year the festival may become international." The organizers have placed special emphasis on children’s literature, and so there will be lectures by children's authors, master classes, literature quests, presentations of new books and awards in this genre.